Are you looking for best Gaming laptop offer online. 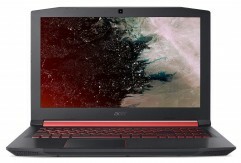 now it right time get this very good deal on gaming laptop Amazon is offering Acer Nitro Core i7 8th gen 15.6-inch Gaming FHD Laptop (8GB/16GB Optane/1TB HDD/Windows 10/4GB Graphics/Black/2.7 Kg), AN515-52 Rs. 67990 only which is worth Rs 1099990 best and lowest price online.To claim this deal, go through the steps mentioned below. Keep Visiting dealsheaven.in for more Best offers ,hot online deals, promo code, free deals online,free samples, coupons and discount . How to buy Acer A315-31 15.6-inch Laptop (Celeron 3350/2GB/500GB/Linux/Integrated Graphics), Black?